There is a way of doing things and a way of getting things done and they're not always the same. Most organisations of size have a Project Management Office (PMO) charged with defining processes and best practices (the way of doing things). These organisations typically sell the processes to a CIO to get executive-level support and then use that support as their stick to make sure the processes are followed. These people are often referred to as the PMO Cops by project managers. So what's wrong with this picture? 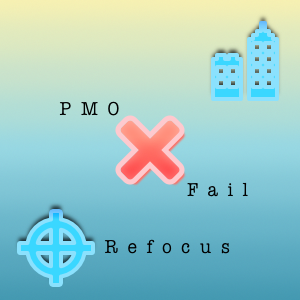 The problem is that PMOs are often staffed with process types who don't have significant experience delivering projects. If they did, they wouldn't be in a PMO role. 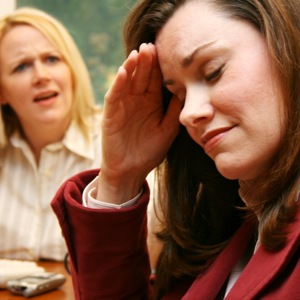 Organisations can't afford to have their best project managers doing process work. They need them delivering results to the business. Since the PMO team often lacks experience, they don't receive the respect of the experienced project managers. This causes the experienced project managers to resent the PMO ("who are they to tell me how to manage a project"). This arrangement is common and is doomed to fail from the outset. Some PMOs try to overcome their lack of experience by hiring consultants to provide expertise and industry best practices. The problem with this approach is that every organisation has a different culture and political climate. Consultants will not have the experience delivering projects within the organisation so the industry best practice may not be the best practice for the organisation. Once again, the experienced project managers will recognise this and resent the PMO for having consultant "tell them how to manage a project." Other PMOs try to pull their experienced project managers into an advisory committee to review the PMO-generated processes and provide feedback. This often fails because the experienced project managers get frustrated having to keep explaining things over and over to the process types. They don't typically have time to waste on this. So they start skipping the meetings. The other challenge is that what works for one project manager may not work for another project manager. Project managers have different styles and typically find a way to become successful with their own unique approach. Target Inexperienced Project Managers: Provide processes, coaching, and mentoring services to the inexperienced project managers. They're the ones who need help. Experienced project managers don't need a prescribed process. Leave them alone and let them do what they do best. They know from experience what needs to be done and to what extent (the way of getting things done). They also know where they can cut corners. This can only be determined based on experience. So for an inexperience project manager, it's a good idea to have them go through the whole process without cutting corners. Over time, they will develop a sense of what's critical and what's overkill for a given project. Apprenticeships: Place inexperienced project managers in a Project Office under an experienced project manager. Let them do the busy work for the experience project manager (example: manage the project schedule, change management process, etc.) This will be a win-win for both project managers. The experienced project manager will free up time to focus on high-value activities. The inexperience project manager will learn by watching the experienced project manager in action. Project Audits: Set-up a peer review process whereby the experienced project managers conduct project audits on the inexperienced project managers. Most experienced project managers would be happy to mentor the rookies. This will work even better if developing other project managers is part of the senior project manager's annual review. Developing people is a requirement for moving up the leadership ladder and this can be a great way for a project manager to demonstrate that skill set. Training: Bring project management experts in-house to provide training to the project managers. Or, encourage the experienced project managers to conduct the training programmes. 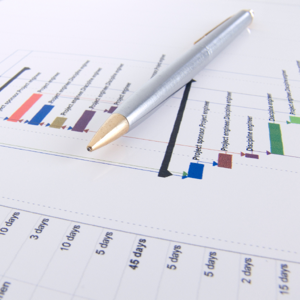 PMIS: Implement Project Management Information Systems (PMIS). 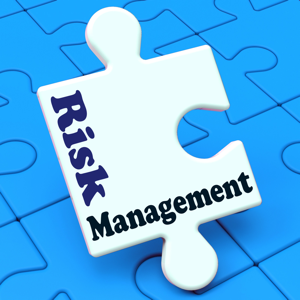 The key here is to get the experienced project managers involved in selecting the systems. Also, focus on tools that will help project managers become more efficient and not ones that will make their jobs more difficult. The premium is often placed on controls by management. Controls slow a project down so it's important to prioritise the key metrics and milestones that need to be tracked and reported on. Focusing your PMO on these five activities will provide value where it is needed most: developing the inexperienced project managers. 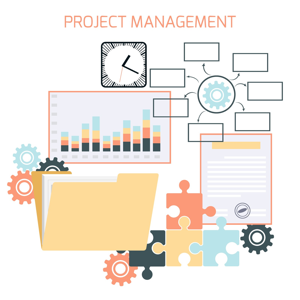 Additionally, it will leverage the experienced project manager's experience instead of trying to change the way they manage projects. Bottom line: focus the PMO on developing the inexperienced project managers and let the experienced project managers continue to do what they do best; deliver results to the business. Allen Eskelin is founder and CEO of Eskelin Technology Corporation, a technology management consulting firm that assists clients in technology negotiation strategy and delivering business results from their technology vendor portfolio. Since 1991, Allen has managed business critical projects and negotiations for several Fortune 500 companies, including Starbucks, Microsoft, and Gateway. Allen is the author of Technology Acquisition (Addison-Wesley Professional, 2001). Question: Is it true or false that twenty is a number?